Gylfi Þór Sigurðsson is an Icelandic footballer, who plays for Tottenham Hotspur as a midfielder. Gylfi played for hometown side FH before joining Breiðablik and was an Icelandic under-17 international. He had spent time on trial with Preston North End and Arsenal before signing for Reading on an Academy scholarship on 1 October 2005. He made his debut in Reading's League Cup match against Luton Town, ahead of the 2008–09 season. In order to gain first-team experience, Gylfi signed for Shrewsbury Town on a one-month loan spell. In February 2009, Gylfi joined Crewe Alexandra on an emergency loan move and he made his debut two days later against Brighton away. Gylfi scored his first Reading goal against Burton Albion in the first round League Cup tie at home on 11 August 2009. Gylfi finished the season with a fruitful 21 goals in 44 matches in all competitions. 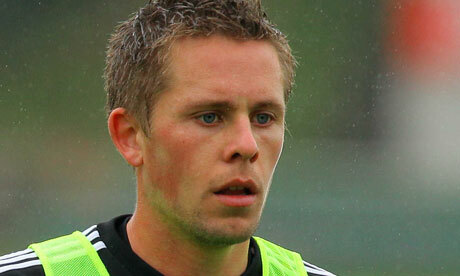 Gylfi joined 1899 Hoffenheim on 31 August 2010 for a fee of of £6.5 million. On 25 May 2011, Gylfi was voted as 1899 Hoffenheim's fans' player of the season, despite only starting 13 games. On 1 January 2012, Gylfi joined Swansea City on loan for the rest of the season. By March, Gylfi was named the Premier League Player of the Month for March, owing to his impressive performance.On 4 July 2012, Gylfi made his official transfer to Tottenham Hotspur. Iceland - Have they had their day in the sun?